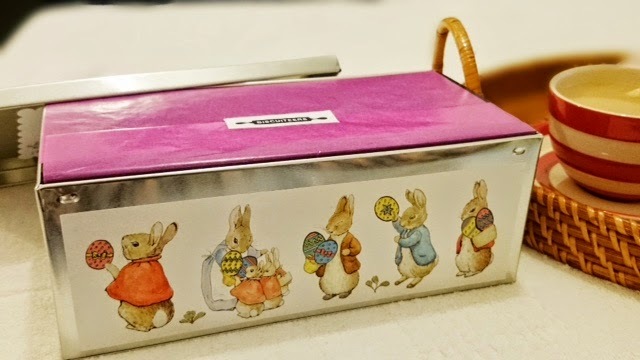 Easter is always associated with chocolates / eggs if you are looking for something a little different and original this Easter then why not say Happy Easter with a tin of treats from the *Biscuiteers Easter Collection. 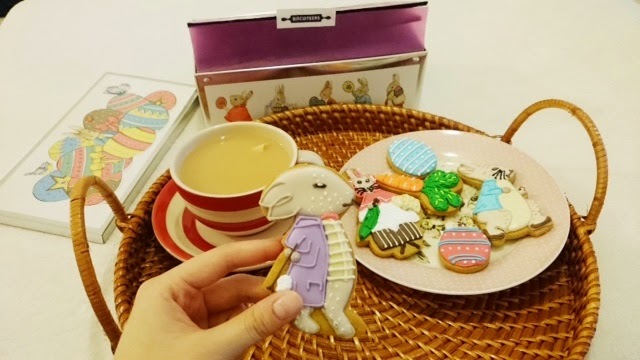 The *Biscuiteers Beatrix Potter Easter Biscuit Tin includes 16 pieces of vanilla flavoured biscuits that are individually hand iced. 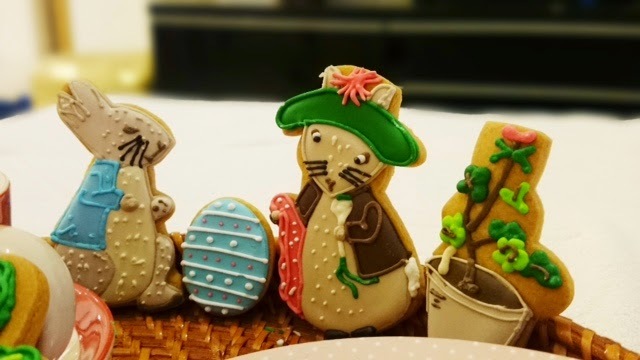 They are perfect to share with the family over the easter with a hot cup of english tea. 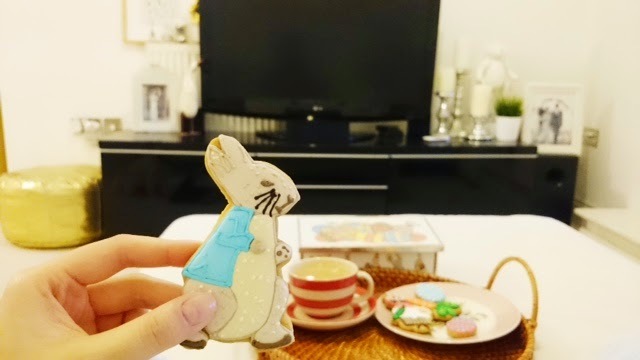 The selection includes the famous Peter Rabbit, Flopsy Bunnies and of course Benajmin Bunny! All the biscuits are hand iced so the attention to detail is amazing. If you have been following my blog for a while you will remember at the end of last year I attended their Christmas launch at Boutique in Kensington Park Road and I had a go at icing some Christmas decorations myself. It looked easy when they were doing the demo but when it comes to doing it yourself it's not!! Steady hands and warming up the icing so it comes out at the certain consistency it takes real good practise for it to look even presentable! You can see my creations here and I even had a go at making their Gingerbread house which took me a good few hours but it was a lot of fun. 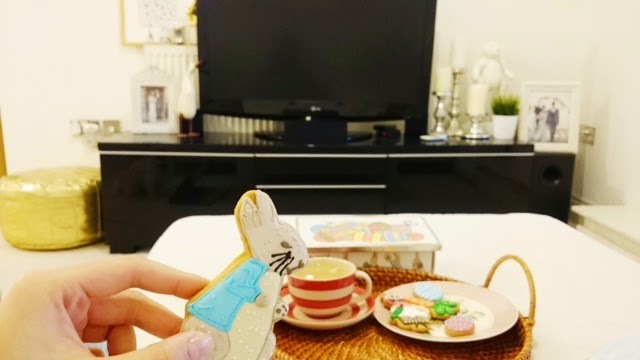 My hubby was in London for the weekend so I spent my sunday laid out on the sofa catching up on a lot of TV series and enjoying these biscuits dunking them in my tea. Some of you may recognise these hand iced biscuits as their corporte clients include Mulberry, Jimmy Choo, Net-A-Porter, Prada, Cartier and L'Oreal. If you can't get to their stores in London you can pick them up easily in Fortnum & Mason, Selfridges or Harrods. 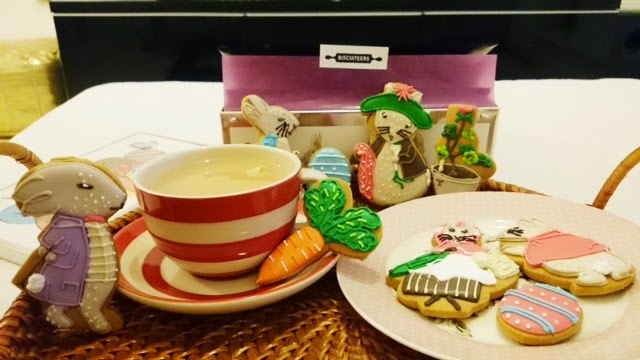 Biscuiteers offer next day UK delivery and they deliver worldwide which makes things very convenient for friends and family around the world. 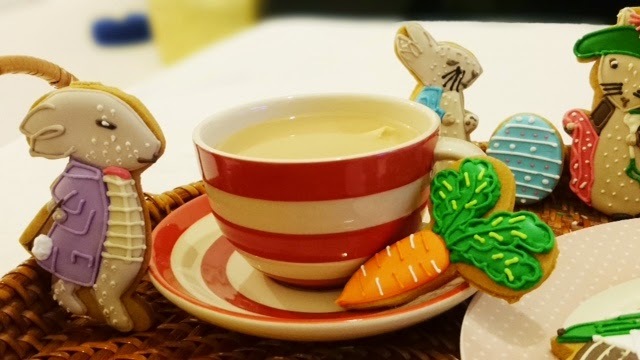 I've been told two years ago a handwritten recipe book belonging to Beatrix Potter was discovered and includes her very own gingerbread recipe how amazing is that guys! 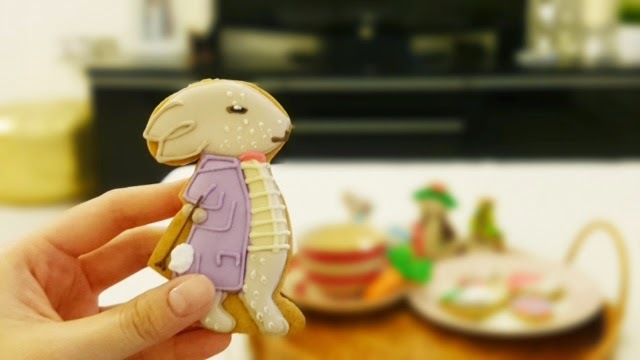 Biscuiteers shared this recipe with me so next month I am going to be attempting to make these gingerbread biscuits along with doing some simple icing. Very excited about this recipe!!!! These are adorable. I was bought an icing class voucher for Christmas and can't wait to go. I can't wait to see photos of what you ice and don't forget to share tips! This is insanely cute, I just love it so much! I know, I felt a little bad when I ate Peter rabbits head but it's got to be done! Pop over to their site they are offering discount over the easter period on any purchases! When I visited their store back in Nov one of the girls was doing a demo and they do it so quick! I think the more you do the quicker you get...practise makes perfect! The rabbit is sooooooo cute!! Cannot wait for the recipe post!! I didn't want to eat them!!! They are too cute to be eaten. Also they somehow remind of Alice in Wonderland. I think they actually do Alice In Wonderland ones - take a look on their site!